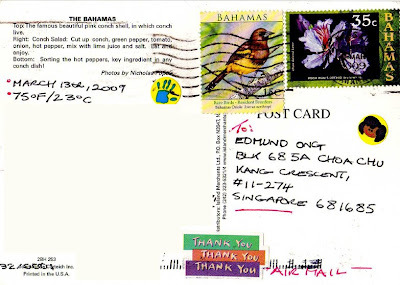 eD@HoMe: A lovely postcard from the Bahamas! Here i would like to share with you this beautiful postcard from the Bahamas! Thank you, Geria! 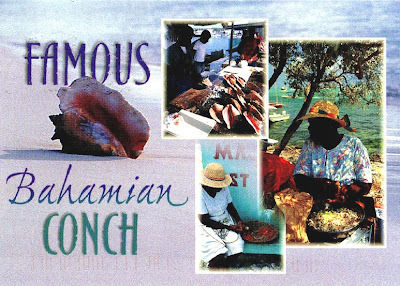 This postcard shows the famous Bahamian conch, Queen conch (pronounced "konk"). 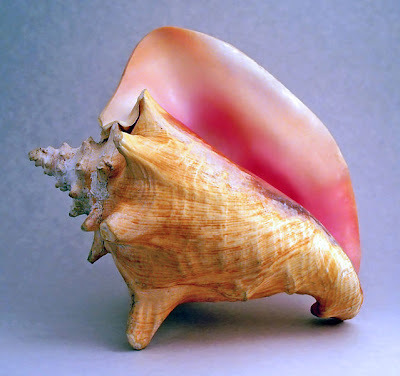 It is the most common conch in Bahamian waters but severely depleted from over harvesting in recent times. In the Bahamas, Conch is generally served five ways, conch fritters, cracked conch, and conch burgers, all of which are fried. The two non fried items are conch chowder and the ever popular conch salad. 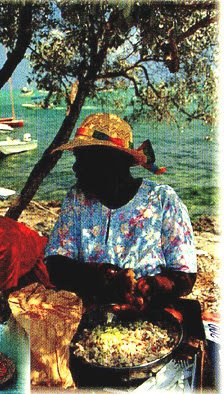 As described on this postcard; cut up conch, add green pepper, tomato, onion, hot pepper, mix with lime juice & salt. Eat and enjoy! 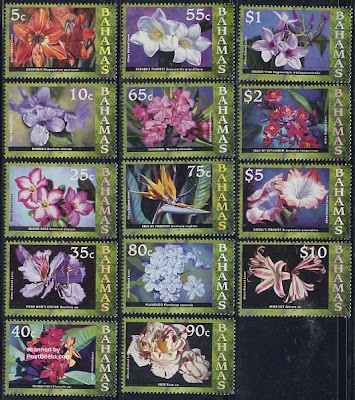 The stamps franked on this lovely postcard belong to the "Bahamas Rare Birds" series, issued in 2009 and the "Flowers" definitive stamps, issued in 2006 respectively.